Most people would question the use of Serrapeptase if they didn’t know or understand its countless benefits. They might think it’s just another one of those health products on the market that is all hype and no substance. If you do the research however you will find that this enzyme comes with a huge range of benefits. This is why it’s one of my favorite products. It can help with many different issues, is inexpensive and really does work. Some people feeling the difference in just a few days. What many people don’t realize is this special enzyme has been used for over 25 years. It has been popular in Asia and Europe for quite some time, but the news of its benefits is spreading to the United States and other countries. This is why more people are becoming more interested in the topic. “For Dissolving Fibrins & lessening the pain of adhesions this did the trick for me. After multiple abdominal surgeries I was suffering from much pain due to adhesions. Serrapeptase is considered a “miracle enzyme.” It was originally found within the intestines of silkworms. 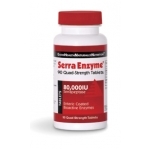 Today, the enzyme is developed and produced in laboratory settings to keep up with the high demand and interest. Research has been completed in all these areas. Currently, they are looking at how Serrapeptase benefits those with arterial plaque development. This enzyme stops the release of bradykinin from inflamed tissues, which means the blood vessels don’t dilate, pain isn’t as severe, and histamine isn’t produced as much. 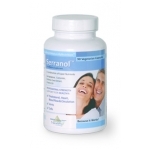 This allows Serrapeptase to relieve pain and inflammation. There are all types of supplements that include Serrapeptase in its ingredients. It’s important to compare the options and read reviews and testimonials. 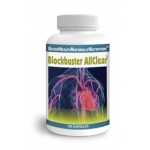 The products I find the best are SerraEnzyme, Serranol and Blockbuster. All have serrapeptase in them but focus on different healing issues. Have a look at each of the links below and see which one will work best for you. Previous post: Do you have enough Melatonin?